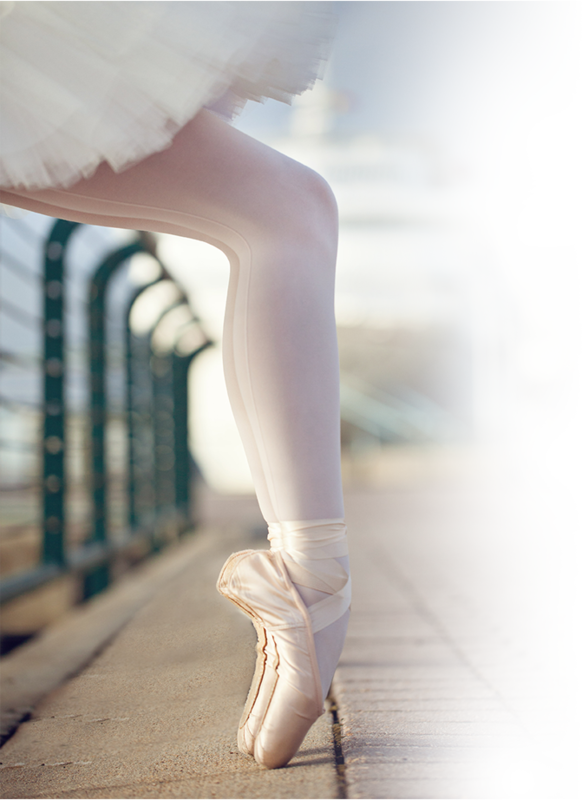 Mobile Ballet has been the common “barre” for generations of dancers. With that heritage as Mobile’s legacy studio, our Ballet School is home to the region’s foremost training in classical ballet and more. 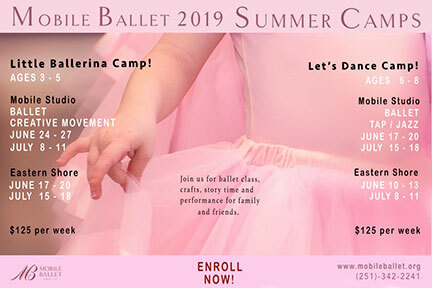 Our commitment has always been to provide superior dance education, present quality performances, and promote the ballet to the community as an expression of the human spirit. Our school is the heart of it all. Whether pursuing the joy of classical ballet or a professional career, we embrace and support our dancers of all levels and wherever their dreams may take them. All students enjoy performance opportunities from the iconic community tradition of The Nutcracker or with the Ballet Company at fresh new performances on the Mobile Civic Center stage, the Nutcracker Charity Ball and our year-end Showcase. Our world-class artistic leadership prepares dancers for pre-professional careers and renowned programs throughout the United States and Europe. 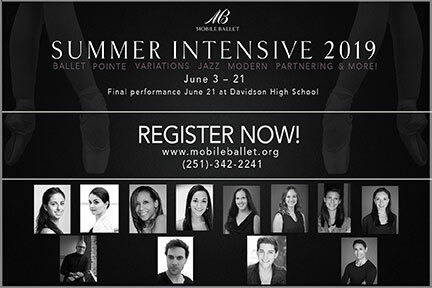 Our students have been selected to prestigious summer intensives and training with the American Ballet Theatre, School of American Ballet, Boston Ballet, Houston Ballet, Joffrey Ballet and a host of other celebrated programs around the world.